If you’ve spent any good time outside during summer, chances are you’ve had some mosquitoes around and have been bitten by the pesky insects. It’s good to find a good home remedy for bite relief as quickly as possible, so you wound heals faster. To help you out, I’ve compiled some of the best home remedies for mosquito bite relief in one article: A whopping 21 ways to quickly get rid of your insect bite itch! This one took me a while to write up, so do make sure to take notes along the way. All the herbs and organic materials mentioned work! Mosquito bites can be annoying or unsightly and it makes sense to want to be rid of them as quickly as possible. You can treat them with over-the-counter creams or certain medications, but there are plenty of natural home remedies as well! In fact, I’ve collected 21 of the best natural home remedies for mosquito bites. If you’re looking for quick relief without a trip to the store or enjoy a more ‘natural’ approach, take a look at our list below. Please feel free to try one of these remedies out yourself, and do let me know in the comments below this article what has or hasn’t worked for you. That way, we can improve and update this resource together. Let’s get started! 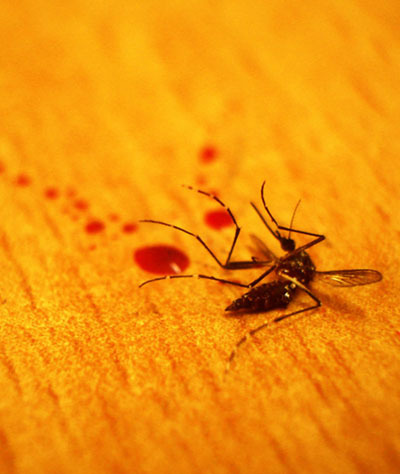 It may seem strange, but one of the most effective reliefs for mosquito bites is to press an ‘x’ over the bite. Simply take your fingernail and press it in twice (so that the marks form the shape of the ‘x’) and that’s it! If you are away from home and can’t use one of the other remedies on this list, this is an easy way to get quick relief. This method works because it helps disperse the mosquito saliva trapped inside the bump left behind. Without the saliva concentrated in so small an area, the localized itching will cease. Applying something cold to your mosquito bite is another effective way to relieve any unwanted itching and help decrease inflammation. Next time you have a pesky mosquito bite and are in need of relief, try applying a cold pack or a Ziploc bag filled with crushed ice. In order to avoid any potential damage, don’t hold the ice against your skin for more than five minutes and feel free to use a barrier (such as a washcloth) if the ice is too uncomfortable. Just a note about this remedy: the cold will only offer temporary relief from itching or pain associated with the bite. If you’re a fan of home beauty DIYs or traditional remedies, you may already be familiar with what a powerful tool oatmeal can be. Did you know that it contains several soothing compounds that are perfect for relieving any unwanted itching and inflammation? Next time you have a mosquito bite, try reaching into your pantry for this breakfast staple. Create an oatmeal paste by combining equal parts oatmeal and water. Combine until the texture becomes mushy then spread over a washcloth and apply paste-side down over the mosquito bite. Wait 10 minutes, then removed and wash off any remaining paste. Apple cider vinegar is a classic, catch-all home remedy that can also help you after a pesky mosquito attack. The high acidity of the vinegar will help balance your pH levels. This can neutralize any ill effects of the mosquito bite. If you have a single bite or a few bites relatively close together, soak a cotton ball in a 50/50 solution of apple cider vinegar and water, then swab over the affected area. If you have multiple bites or bites that are not close together, add 2-3 cups to your bath water and soak for at least 20 minutes to gain relief. Besides being delicious in tea and perfect for a quick sweet treat, honey is commonly used in home remedies due to its many antibacterial and anti-inflammatory properties. In fact, honey has been used in medicinal practices for centuries to help treat concerns like sore throats, bruises, and cuts. If you are wanting to use honey to help with your mosquito bites, apply a small drop over the bite to help reduce inflammation and keep the area clean. The honey will also help you fight the temptation to scratch as scratching will spread the honey and create an unpleasant, sticky mess! If you use essential oils, chances are you already have a bottle of tea tree oil in your cabinet. Tea tree oil’s many antiseptic properties have made it a popular ingredient in many bath and beauty products as well as a powerful tool in treating a variety of skin concerns. If you apply a few drops to a cotton swab and rub it over your mosquito bites, it can also help any discomfort you are experiencing. If you have sensitive skin or aren’t certain how you’ll react to the tea tree oil being applied directly, dilute it with water before use. Many households have an aloe vera plant growing in a windowsill or a bottle of aloe vera in the fridge. This desert plant is a common treatment for sunburn, but it has many more uses than that, including helping with any pesky mosquito bites. The gel inside the aloe vera leaves has anti-inflammatory properties that are useful for treating minor wounds or helping with infections. These same properties can help mosquito bites, too! Cut open one of the aloe leaves and apply the gel inside to the irritated area and allow to dry. Re-apply as needed for relief from itching and inflammation. A great plant with many benefical properties, certainly worth looking into in more detail. Baking soda may seem unassuming, but its uses range from baking bread to helping clean kitchen surfaces to whitening your teeth. And baking soda is also effective in treating mosquito bites. Most kitchens have a box tucked away somewhere, so it should be easy to get your hands on. Applying baking soda to mosquito bites will help provide relief from itching. For best results, create a paste with 1 tablespoon of baking soda and just enough water to create a thick paste. Apply it to your mosquito bite and allow the paste to sit for 10 minutes before washing it off. Some people may experience irritation after applying the paste; if this happens, swap to another remedy. If you’ve ever asked your grandmother what her favorite home remedy is, you may already be familiar with witch hazel. Witch hazel is a natural astringent (causing contraction of body tissue naturally), widely available for purchase in its concentrated form or added to other products like facial toners. It is commonly used to treat minor cuts and scrapes, but can even treat hemorrhoids. Applying witch hazel helps reduce inflammation, soothe irritation and burning, and speed up the healing process. When using it to treat your mosquito bite, soak a cotton ball in witch hazel and gently dab or swab over the bite and allow to dry. You can repeat as necessary! Cleopatra was said to frequently partake in milk baths to keep her skin supple and smooth. While this is certainly a popular use of milk baths, you can also use them to help with your mosquito bites. This home remedy is especially useful if you have multiple mosquito bites, or bites that are spread far apart. Combine 2 cups of whole powdered milk, 1/2 cup of cornstarch, and 1/2 a cup of baking soda then pour the mixture into a warm bath. Soak for at least 20 minutes to get optimal relief. You can also add a few drops of tea tree oil for added effect. Basil is a key ingredient to many Italian dishes and relatively easy to grow at home. The fragrant herb contains a chemical compound known as eugenol, which can help relieve itchy skin. This compound makes basil yet another good choice for relieving mosquito bites. Making a basil rub is the most efficient way to help relieve itching and soothe any mosquito bites you may have. Boil 2 cups of water and half an ounce of dried basil leaves, then steep until cool. Dip a washcloth into the liquid and rub gently on any affected areas or use the soaked washcloth as a compress over mosquito bites. A great plant to have as it can have multiple uses in one! This home remedy is only really useful if you haven’t yet scratched your mosquito bites or otherwise opened the affected area, since lime juice will sting any cuts. You should also plan to remain indoors or out of the sun for several hours following application. If neither of these conditions is a concern, soak a cotton ball in lime juice and then gently dab over any mosquito bites and allow to dry. The lime juice will help reduce inflammation and relieve any itching or discomfort. Fresh lime juice is best to use, but you can also use bottled in a pinch. Delicious, fragrant onions are good for more than just cooking with: they can be an effective home remedy when dealing with unwanted mosquito bites. Onions have natural anti-fungal properties that help reduce the risk of infection and their juices can be used to soothe irritation and itching. When using them to help treat mosquito bites, make sure to reach for fresh onions as they contain more juice. Cut a thin slice from any type of onion and apply directly to your mosquito bites for at least 3 minutes. Toss the slice and wash the area thoroughly, then enjoy sweet relief! Chamomile tea makes a warm, delicious beverage perfect for early mornings. Perhaps even more appealing, however, is its ability to help with mosquito bites. Chamomile tea can help reduce inflammation, ease irritation, and speed up the healing process. To use chamomile tea in treating your mosquito bites, begin by steeping a tea bag (or two) in a cup of water. Refrigerate for at least 30 minutes before removing the tea bags from the fridge and squeezing any excess water from the bags. Apply the tea bag directly to any mosquito bites and allow to sit for at least 10 minutes before wiping the area clean. You can also keep the tea bags chilled in the fridge to reuse later! Fresh thyme is a delicious, fragrant additive to your meals. However, it can also be an effective home remedy when dealing with mosquito bites! Thyme has antibacterial and anti-fungal properties that help in reducing irritation and itching. When using thyme to help treat mosquito bites, finely mince fresh thyme leaves and then apply directly to the affected area. Allow it to sit for 10 minutes before washing away. For even more relief, you can also boil water with several sprigs of thyme and steep until cool, then dip a washcloth in the liquid and use as a compress over mosquito bites. Also a great herb in food, of course. Very healthy and tasty in certain meals too! Have you heard the news about garlic? I’ve talked about garlic as a mosquito repellent before, It is a widely accepted natural remedy for a variety of health concerns including high blood pressure, heart disease, and much more. Garlic can also help when you need a quick fix for a nasty mosquito bite so long as you haven’t scratched or otherwise opened the bite (please note garlic juice can sting!). Finely mince fresh garlic and apply to mosquito bites for at least 10 minutes, then wipe away and wash the area with a cool washcloth. You can also mix the minced garlic with coconut oil to reduce its potent smell and help with any potential stinging. Be aware it can smell, you really have to like it to use it. If you are looking for an effective home remedy to help with your mosquito bites, consider getting some ozonated olive oil from our friends over at Amazon. Ozonated olive oil is created by slowly infusing oxygen with olive oil over a period of several months; you can purchase it online or locally in certain health food stores. The ozonating process creates a smooth cream that helps speed up the healing process and can help reduce inflammation, redness, and itching from mosquito bites. Apply the cream directly to the bite for at least 3-5 minutes. You can simply leave the cream on your skin or wipe away if desired. Peppermint is yet another delicious, fragrant herb that can be useful when looking for home remedies for mosquito bites. For best results, mash fresh peppermint leaves (either with a mortar and pestle or by chewing) into a thick paste and then apply directly to bites. You should immediately notice a pleasant cooling sensation. Not only will peppermint provide relief from any discomfort, it will also help reduce itching and can calm the affected area. You can also use peppermint tea if you don’t have fresh peppermint leaves on hand by steeping 1-2 bags and then applying the tea bags directly to the mosquito bites. Although not as commonly used as its cousin mint, lemon balm is a leafy herb that has been used for centuries as an all-natural home remedy. The herb has proven useful for anxiety relief, soothing upset stomachs, and even helping treat mosquito bites. If you’re interested in using lemon balm to treat your own bites, begin by finely chopping fresh lemon balm leaves. Apply the resulting paste directly to the bite and allow to sit for at least 10 minutes before washing away. You can also purchase lemon balm essential oil and add several drops to a cotton ball, then swab over your mosquito bites for relief. Last but not least, you can always resort to a good old slap or pinch to help soothe your mosquito bites! 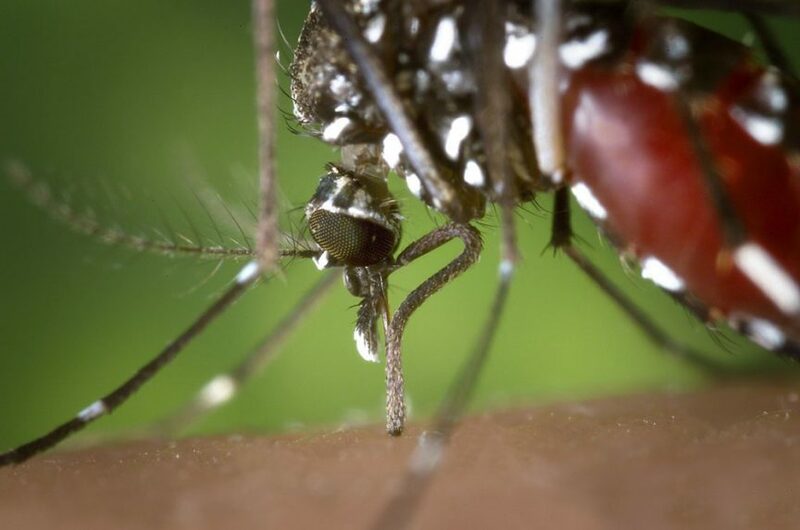 It may sound counterproductive, but slapping or pinching mosquito bites really does help by dissipating the mosquito saliva trapped inside the bump left behind by a mosquito’s bite. Once the saliva has dissipated (it could take a few slaps), you should feel relief from any aggravating itching and will notice reduced swelling. Just remember not to overdo this method: too much slapping or pinching can cause bruising! You can also combine this method with another on this list for even more relief. With these 21 natural home remedies, you won’t have to dread the irritating effects of mosquito bites any longer. That being said, the best course of action is to prevent mosquito bites from even happening in the first place. When going outside during the summer months, wear protective clothing and use mosquito repellents (like bug spray or citronella-infused bracelets) to reduce the risk of being bitten. If you want to get more serious with battling mosquitoes, I highly recommend you to check out my recommended mosquito repellents section. There I test and review the most effective mosquito repellents and bite treatments, mostly all natural and organic. Remember that mosquitoes can carry several dangerous diseases, such as Malaria, and Zika virus. Make sure to be prepared before enjoying your time outdoors and keep this list handy for the next time you may need relief from mosquito bites!